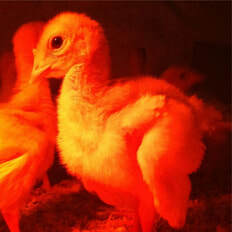 Order a Thanksgiving Turkey - Welcome to Lamppost Farm! Lamppost Turkeys: The cream of the flock! We are sold out of turkeys. ​All orders placed from November 6th and beyond will be placed on a waiting list. We will confirm your order within 24 hours. You will be notified of being offered a turkey after the November 18th pick up. Raising our Thanksgiving turkeys is one of the highlights of our year! 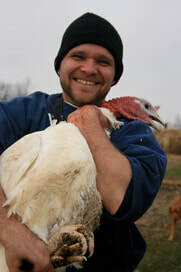 If you've never had a pastured turkey, this is a great way to celebrate the season of gratitude. Support responsible farming practices, local economy, and ecological sustainability. And taste the difference. One customer said, "Lamppost Farm pastured turkeys differentiate themselves from store-bought more than any of your other great products!" See for yourself! Price is $4.25/lb with a $20 deposit. Sizes are Small (12-17), Medium (17-22), and Large (22+). Priority of size is given to those who order earlier. We do our best to meet your requests but many things affect the finished product. Quantities are limited so its best not to wait until the last minute to order. And our exact quantities and size ranges are unknown until we get them back from processing. Please bear with us. Back by popular demand, we are also offering our very own turkeys, smoked for $6.50/lb. ​SMOKED TURKEYS ARE SOLD OUT FOR 2017...SORRY! Wondering how a wonderful Lamppost turkey can grace your table at Christmas? We've got you covered. Turkeys picked up fresh on November 18th can easily be frozen and saved for Christmas. Because all our turkeys are processed in time for Thanksgiving, now is your chance to reserve a bird, even if you won't be eating it till December! ​Pick up for all turkeys is on November 18, 10am-4pm, unless special arrangements are made. Order Form for Smoked Turkeys ($6.50/lb.) Size choice is not guaranteed ... Sizes will be 11-18 lbs. ​SMOKED TURKEYS ARE SOLD OUT FOR 2017...SORRY!